It’s frustrating as a consumer that we are convinced we need to purchase and use several cleaning items for each individual sole purpose. 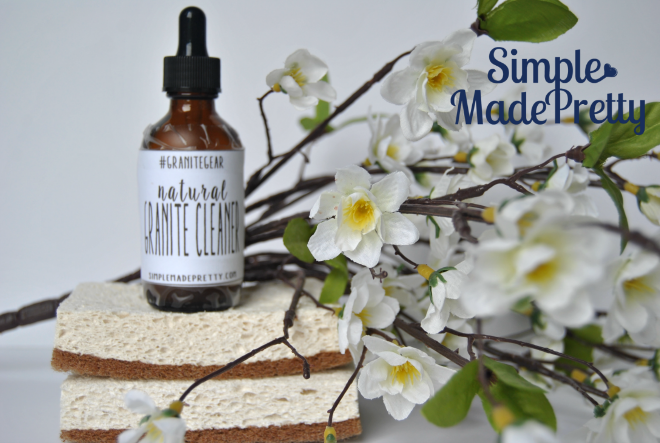 Since I started using essential oils in my cleaning products at home, I’ve been able to drastically reduce our cleaning supplies while also removing chemical-filled products from our home. Clear the clutter, save your sanity, and remove chemical cleaning products from your home by following this guideline of 15 Cleaning Products You Can Make That’ll Save You So Much Money! 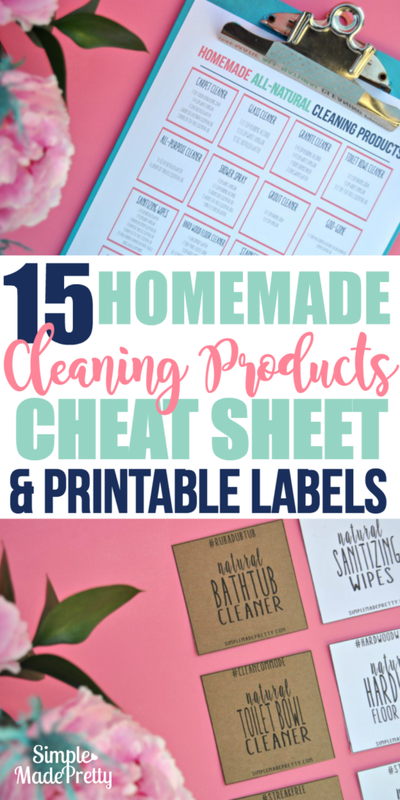 Grab my printable cheat sheet with 14 DIY cleaning recipes here and use the printable labels for each of the recipes here! Not only does this overload of chemical cleaning products cause clutter, it’s harmful to your health and your bank account. 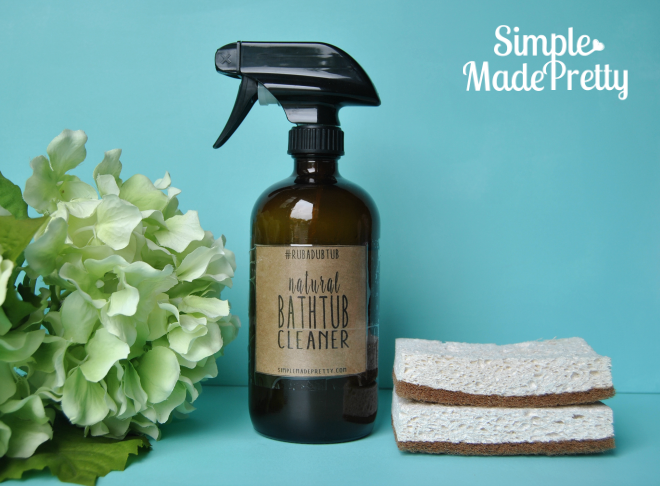 Making homemade cleaning products is easier than you may think. 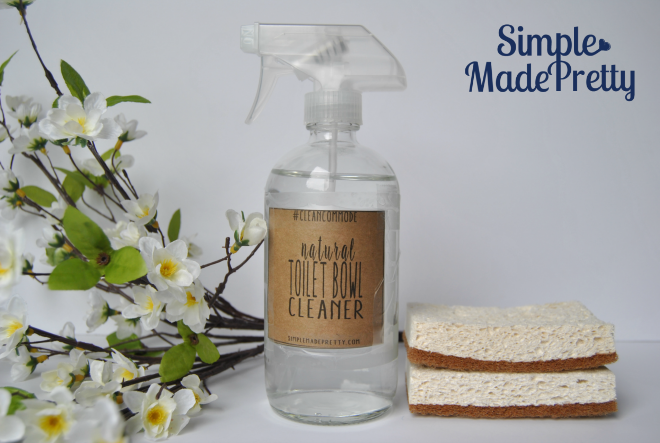 You probably already have all of the below ingredients in your home and if not, they are inexpensive to purchase compared to the cost of those chemical-filled cleaners you think you need. There you have it. Almost all of these items are household staples that you can pick up at your local grocery store and you can kick those chemical cleaners goodbye! 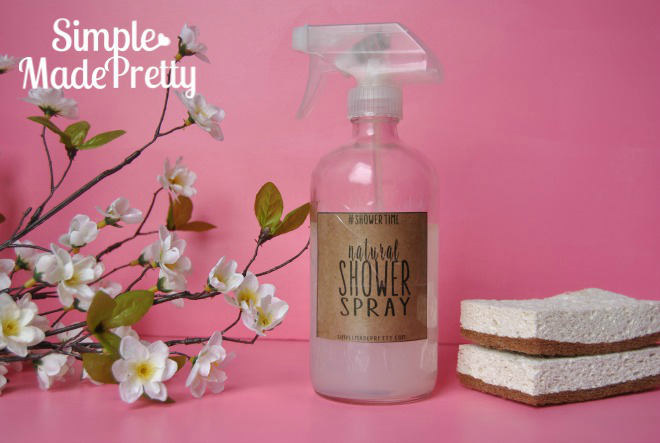 I use this Castile Soap because it is free of chemicals and I get it super cheap through Grove Collaborative, but you can also find it here. 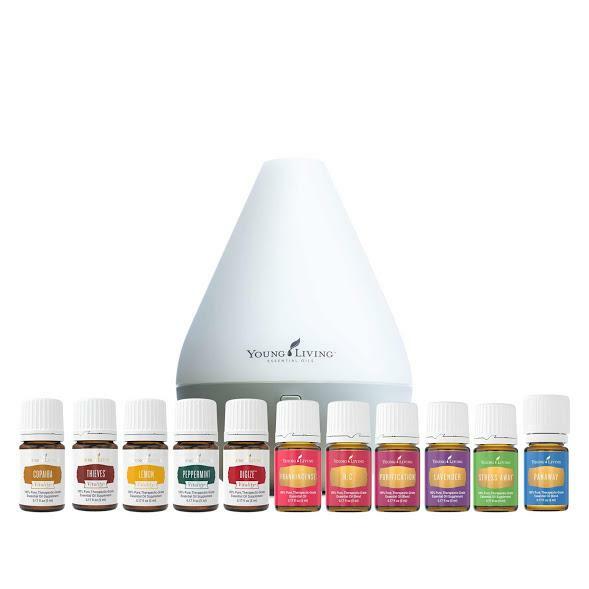 I only use Young Living Essential Oils from the distributor themselves. My favorite essential oils to use for cleaning are Thieves, Lemon, and Tea Tree. 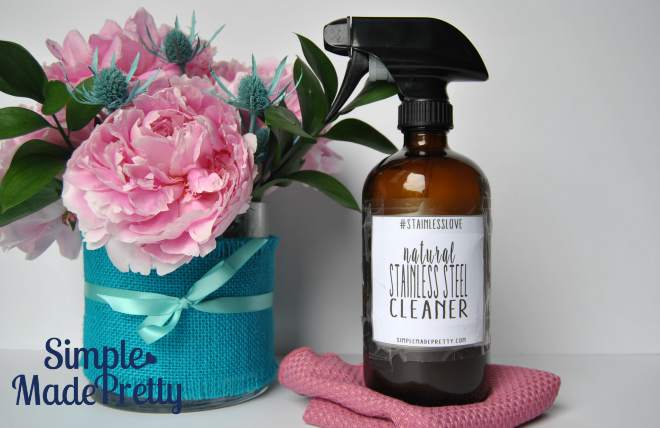 You can learn more about cleaning with essential oils in this post. NEVER buy Young Living essential oils from Amazon because they are not supposed to be sold via Amazon and you never know what you could be getting. 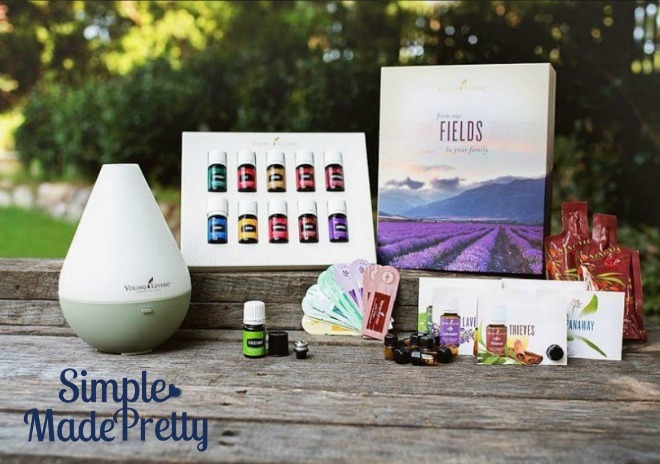 It’s really easy to sign up with Young Living, just go here to get started. Less is more. Word of caution: don’t jump to make all 15 replacement recipes below. I personally only store and keep the cleaning products that we use on a regular basis to reduce clutter. Also, many of the recipes listed below are dual-purpose (and noted below) to reduce the need to have 15 different cleaning products. That’s it! I make every other cleaner on a case-by-case basis and it’s easy enough to do so because we always have the ingredients in our pantry and my free printable cheat sheet (see it below) comes in handy for those recipes we don’t need all the time. While trying the below alternative solutions, please keep in mind that you should test a part of the item you are attempting to clean to make sure the suggested cleaning solution does not stain or damage the item. 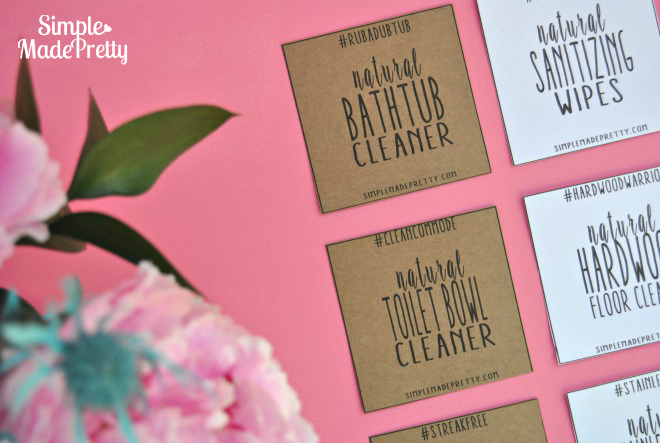 Get the printable labels for 18 different home cleaning products here! Just print, cut, and use packing tape to attach to your containers using the below recipes! Add everything into a 16 oz. glass spray bottle. Shake before use. Spray mixture on carpet stains, blot with a clean, dry cloth. Repeat as necessary. Do not saturate. Stir soda and oil together. Place everything in a sugar shaker bottle. I sealed the holes on mine with packing tape until it is ready to use. Can be used in your home or car. I’ve been using Norwex window cloths to clean the windows, mirrors, and other glass surfaces in my home for several years and their products are amazing! My windows have never looked better! I started with 1 cloth for our entire house then added another to use on our cars. Just add water and wash glass surfaces. Use Norwex soap to clean the cloth, let dry, and reuse over and over. Combine everything into a clean spray bottle. Shake before use. Use a microfiber cloth for streak-free application. Can be used on windows, glass, mirrors, and stainless steel (check appliance manual first for stainless steel cleaning instructions). Combine everything into a 2 oz. glass spray bottle. Shake before use. Use a microfiber cloth for streak-free application. Combine everything into a clean spray bottle. Shake before use. Use a microfiber cloth for streak-free application. 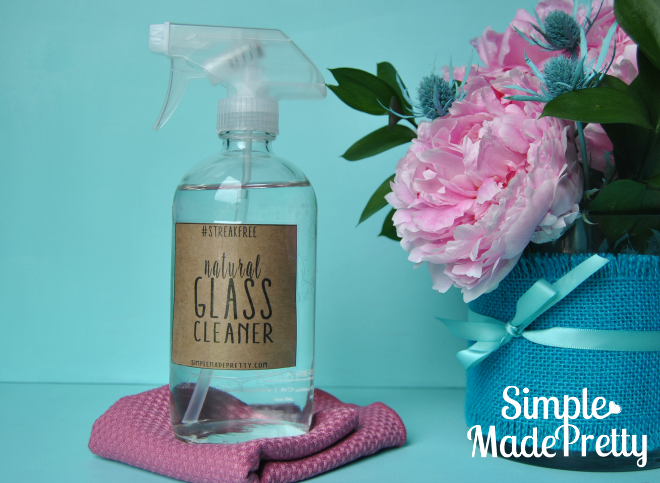 Add contents to a clean spray bottle. Shake before use on granite surfaces. Use a microfiber cloth for streak-free application. Combine ingredients (minus napkins) in the glass container. Mix well. Add napkins and shake the glass container until napkins are soaked with the mixture. Use wipes on granite surfaces. Combine everything into a glass spray bottle. Shake for every use. Spray mixture inside toilet bowl, seat, and lid. Allow sitting for 5-10 minutes. Sprinkle baking soda inside the toilet bowl and scrub with a toilet brush. Use a clean cloth to wipe the mixture from the seat and lid. Sprinkle salt directly on grapefruit half and use as scrubber on the tub. Combine everything into a 16 oz. glass spray bottle. Shake for every use. Can be used in your home (on counters, floors, bathroom). 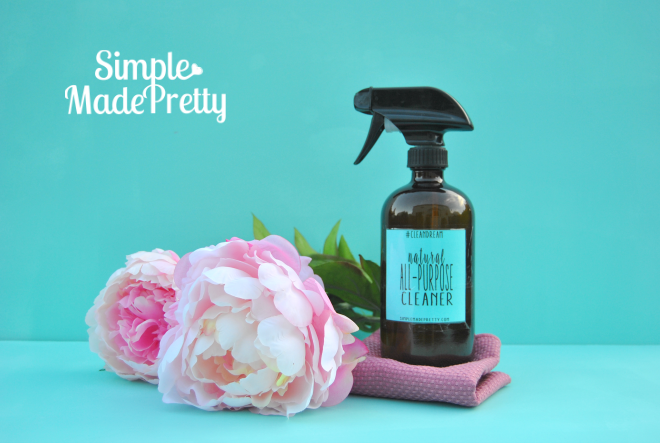 I add lemon essential oil to my all-purpose cleaner for a fresh scent. Use a microfiber cloth for mess-free application. 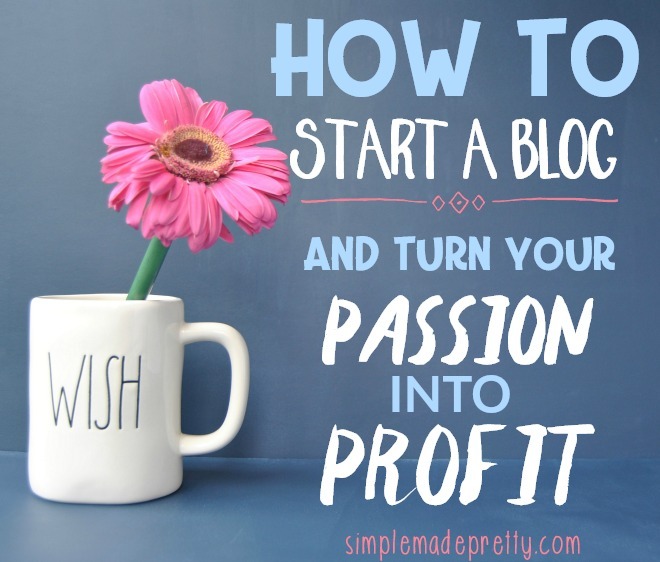 Combine everything into a glass spray bottle. Shake for every use. Spray on shower door and walls to prevent build up. Mix ingredients in a small open container. Use a toothbrush to apply the paste to grout. Let sit for 5 minutes before rinsing off. Mix ingredients in a 1 oz. glass bottle. Test areas before applying to fabric, etc as the mixture may cause staining. Use a clean rag or your fingers to rub on the sticky area (sticker residue, crayon marks, gums, etc) and wipe away with a clean rag. Repeat as needed. Combine everything into a 16 oz. glass spray bottle. Spray surfaces and wipe away using reusable microfiber cloths. Combine ingredients (minus napkins) in the glass container. Mix well. Add napkins and shake the glass container until napkins are soaked with the mixture. Use wipes on surfaces (do not use on granite). I use the Norwex dry mop on my floors instead of a Swiffer dry mop. The Norwex mop is reusable and washable, so I never have to worry about buying those Swiffer dust cloths. Pads are statically charged and will pick up the smallest particles of dirt, dust, pet hair, crumbs, and microparticles. The Norwex mop has 2 sides so once I’m done “dusting,” I flip it over to wet mop (see #11 for hardwood floor cleaner). The Norwex mop cleans thoroughly with water only, which makes it a wonderful solution if you have hardwood floors that should not be cleaned with harsh chemicals or soap. 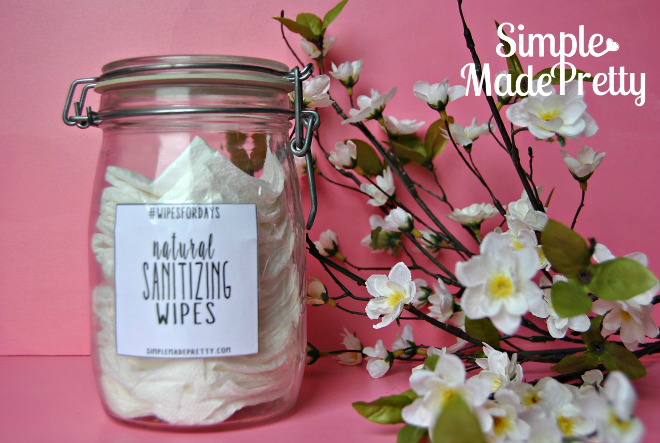 This solution can be used to sanitize the rest of the home and kids toys as well. 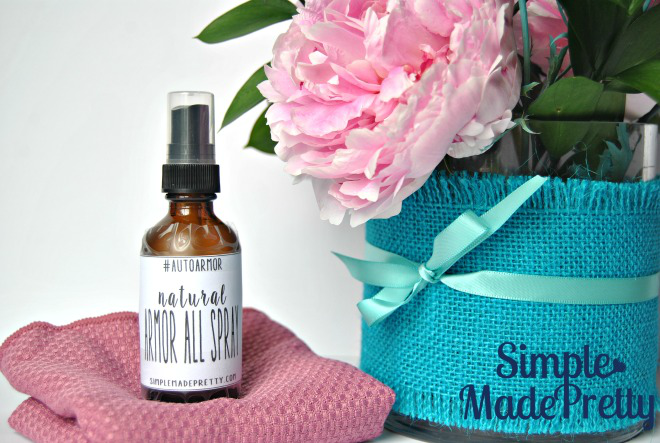 Add contents to a clean, empty spray bottle. Stir/shake to mix well. The Norwex car mitt is two-sided and collects dirt and debris which washes out easily. The car cloth included int the kit puts the final finishing touches on car windows, mirrors, and chrome. It makes washing your car quick and easy. Shake before use. Spray linens (towels, beds, fabric chairs and sofas). Alternatively, saturate a cotton ball with your choice scent of essential oils and place in drawers, closet, and inside toilet paper rolls for a fresh scent. 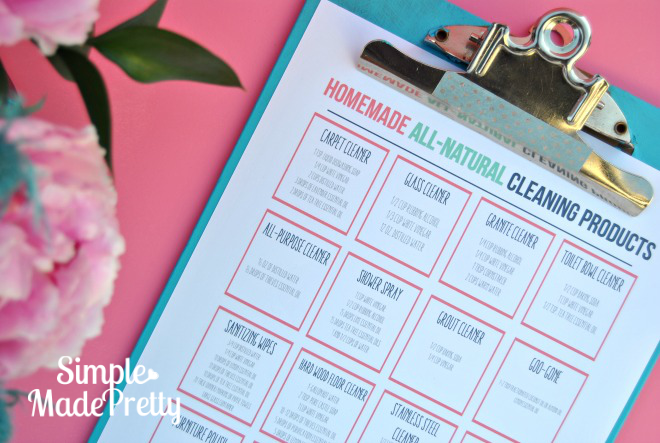 Grab my printable cheat sheet with 14 DIY cleaning recipes here and get the printable labels for each of the recipes here! Clear the clutter, save your sanity, and remove chemical cleaning products from your home by following this guideline of 15 Cleaning Products You Don’t Need (and what to use instead). 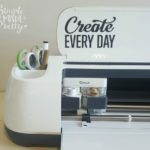 Grab the Free Printable Cheat Sheet! Get the printable labels for each of the recipes here! 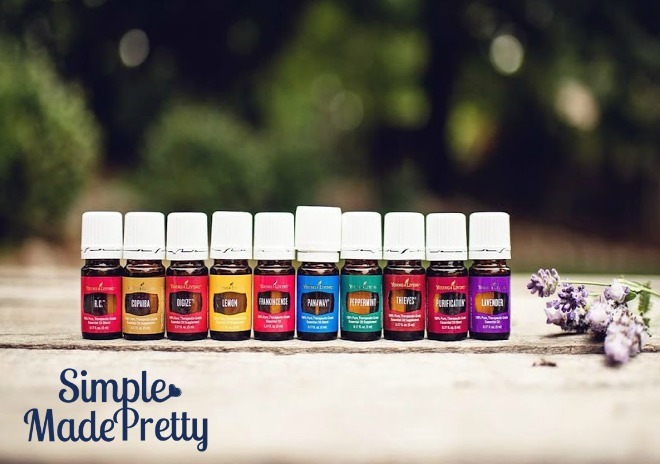 Want even more essential oil goodies? 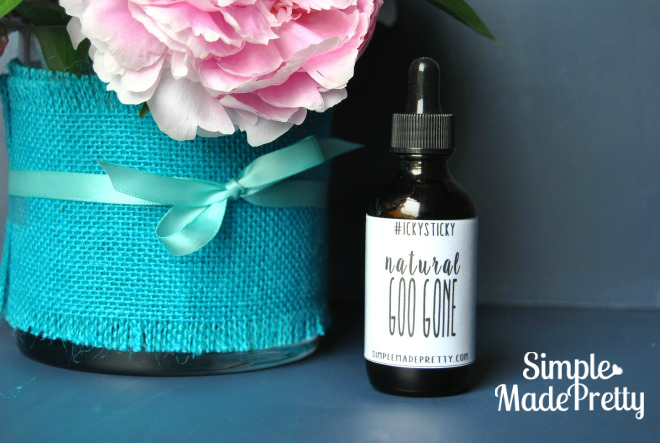 Get 50 Skin Care recipes and printable labels in my eBook, 50 Easy All-Natural Skin Care Solutions Using Essential Oils. Hi! I’m wondering why your poopouri spray has alcohol but the linen spray doesn’t? Hi Roxanne, I’m not sure why a linen spray would need alcohol.